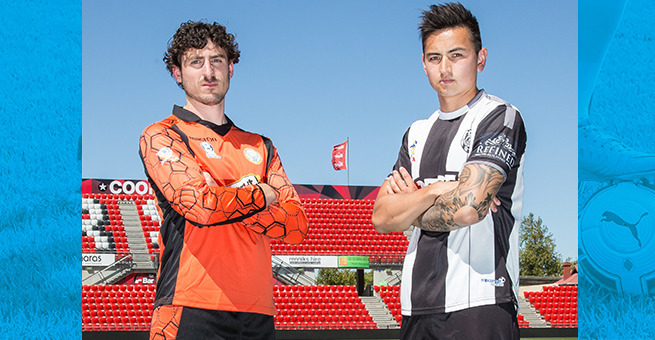 Two of the form teams face off when West Torrens Brirkalla host Adelaide City at Jack Smith Park in Round 12 of the Playstation 4 National Premier League South Australia. Tight defences, high scoring attacks, this one should have it all. After recently finding the balance between attack and defence, Birkalla have beaten the then league leaders Adelaide Blue Eagles and found themselves in third spot. It was no surprise to find Birkalla Goalkeeper and Captain Julian Torresan being impressed with his side’s performances. Torresan was also proud to talk about how Birkalla have combined youth and experience to the best extent. Birkalla have also had plenty of different goal scorers which Torresan believes will hold them in good stead. Torresan also praised his team defence and it’s clear they’ll need it when they come up against the rampant Adelaide City. Including their recent FFA Cup win, City have won 4 in a row and kicked 22 goals. Their main man up front Anthony Costa said the club is very happy with the direction they’re going in. Costa revealed that this spike in form came from his club facing some harsh realities in their early season struggles. While Costa won’t be able to take part in this week’s action, he believes his club have enough to cover his loss. Another part of his team that gives Costa confidence is his side’s defence which hasn’t conceded 2 goals in the last three games.